Last week at the 23rd Annual Pollstar Awards in Los Angeles, Nashville’s Ryman Auditorium was named Theatre of the Year for a second consecutive year. The honor was voted upon by peers and is regarded as the industry’s highest honor. Other nominees included Beacon Theatre in New York City, Fox Theatre in Atlanta, Nokia Theatre L.A. Live in Los Angeles, Radio City Music Hall in New York City, and Verizon Theatre at Grand Prairie in Texas. 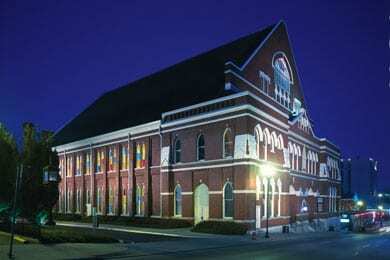 This is the Ryman’s fourth Theatre of the Year win in 10 years, and it is also the reigning Academy of Country Music Venue of the Year.